Posted By:Unknown | At:11:36 PM Be the first to comment! 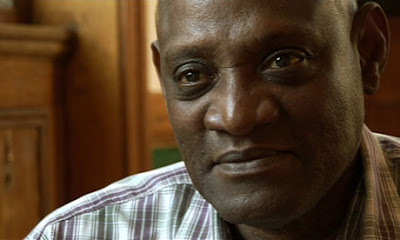 It looks like the BBC has realized the error of its ways and rightfully offered and apology to Darcus Howe after a very testy interview in which the interviewer referred to Mr. Howe as a rioter. The BBC today apologised for a live interview on its news channel in which the veteran campaigner Darcus Howe was accused of taking part in riots. The writer and presenter was a guest during a discussion about the unrest on the streets of London when he was challenged by presenter Fiona Armstrong. The corporation apologised for any offence caused following complaints from viewers. But Howe, speaking from the aftermath of the disturbances in Croydon, responded: ''I have never taken part in a single riot. I've been part of demonstrations that ended up in a conflict. The BBC said Armstrong had not intended to show Howe any disrespect and the questions were intended to gauge his reaction to the events. News Channel editors acknowledged it had been a ''poorly-phrased question'' but said this sometimes happened during live interviews and the incident was compounded by technical issues which meant the pair talked over each other. The BBC said: ''We'd like to apologise for any offence that this interview has caused.